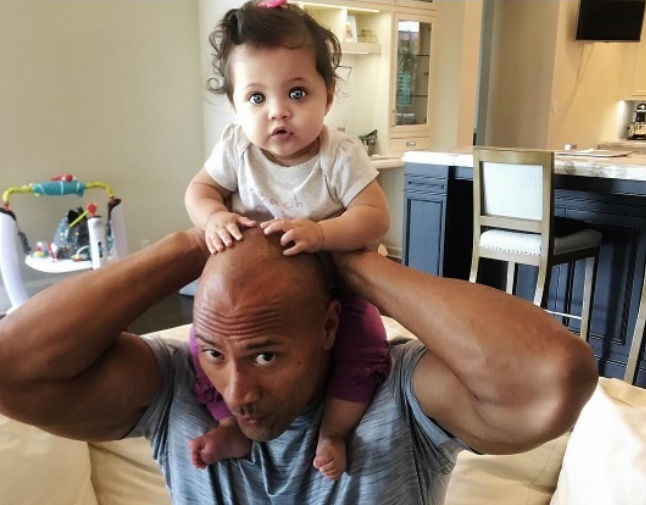 Actor Dwayne Johnson, who is also the father of eight-month-old Jasmine, tried to give her a speech about the important things in life. The 44-year-old believes in hard work and earning respect. Needless to say, little Jasmine was not impressed. Johnson also has a 14-year-old daughter, Simone, from his previous marriage, and admitted he wanted to be a better father the second time around.